Notes are one of the most useful, but underutilized, functions of the app. Once you have started a round and you are on the Scoring/GPS screen, tap Notes to open the Notes for that specific hole. 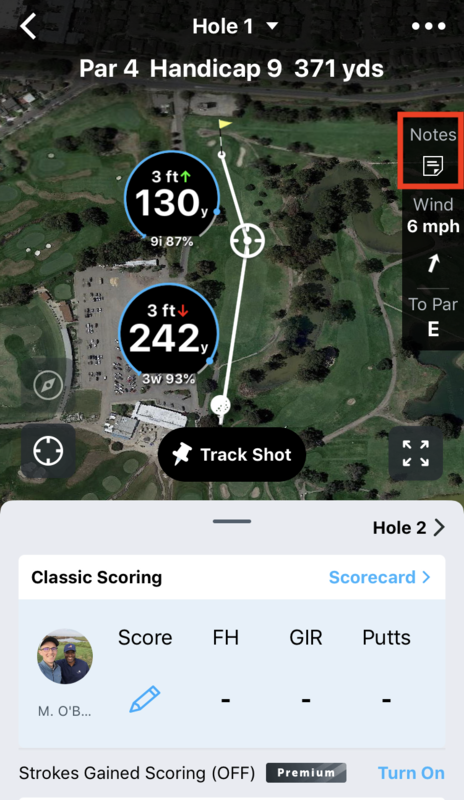 As you plan your round, tap the Notes icon in the GPS screen at any time to create new notes, update notes with results or view past recorded notes & results. 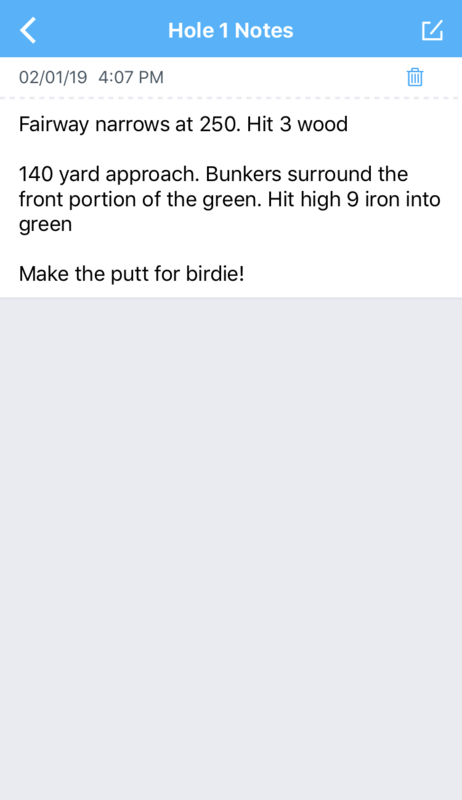 At the conclusion of your round, use the Scorecard and Stats card to quickly see where you entered notes and review what you added. Pro Tip: Notes will always stay tied to a hole once you have created a note. For example, if you make a note on hole 1 at Pebble Beach on 1/15/2019, that note will always be there. So when you play a second round on 6/2/2019, the note from January will still be there.